Sunday saw very heavy rains in Western Japan, and Ogijima wasn’t spared. However, despite all this heavy rain, it was also the day of Ogijima Matsuri. I’ll post about it very soon. 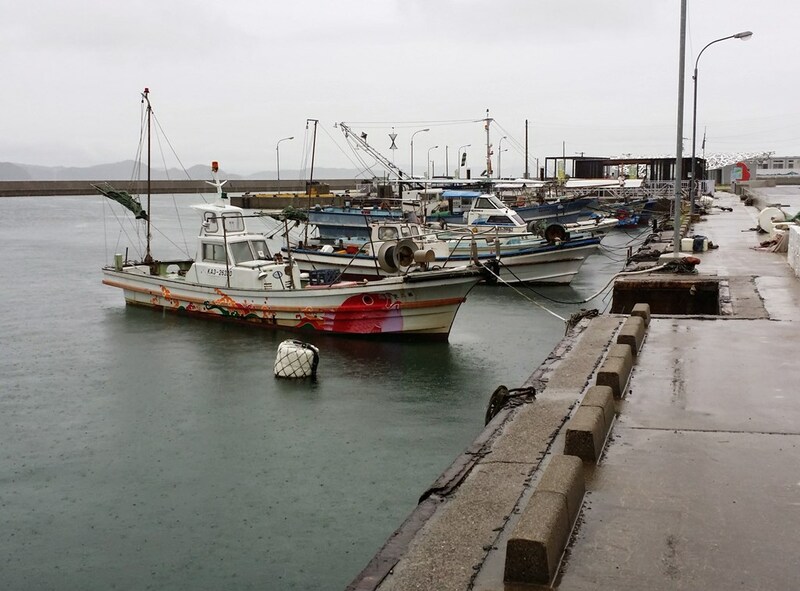 In the meantime, enjoy this picture of Ogijima’s port in the rain (with one of the Team Ogi’s boats in the foreground).